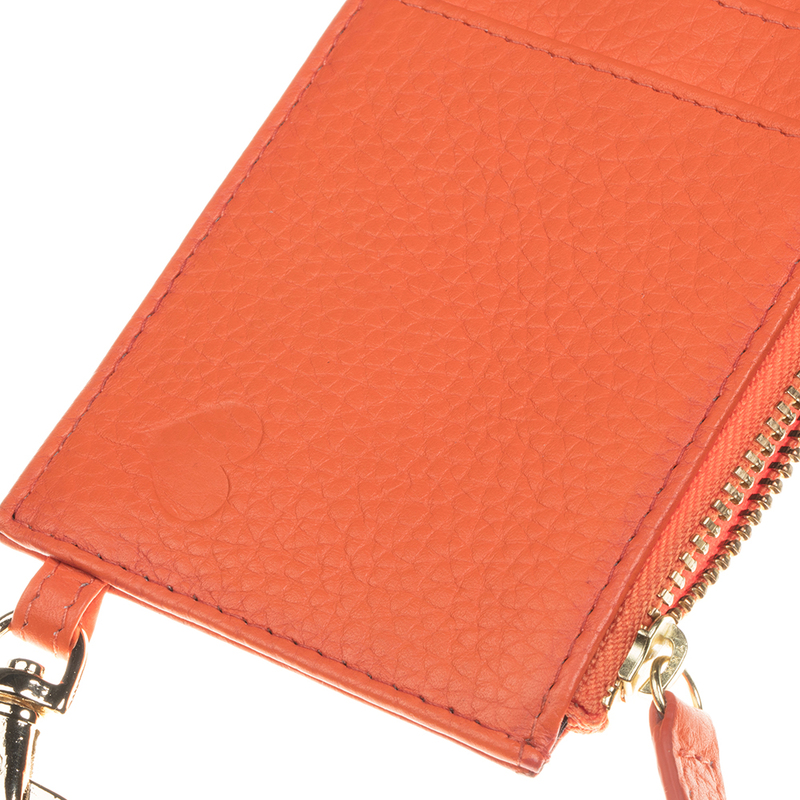 Cash, coins, keys – go! This luxurious embossed leather cardholder with zip and swivel hook has a small heart de-bossed on the bottom left for some added sweetness. 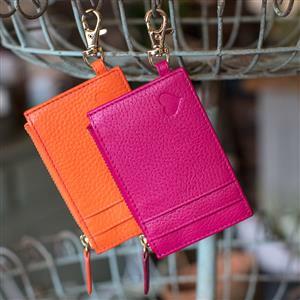 Great for girls and ladies on the go and an ideal 3rd (leather) anniversary gift idea. 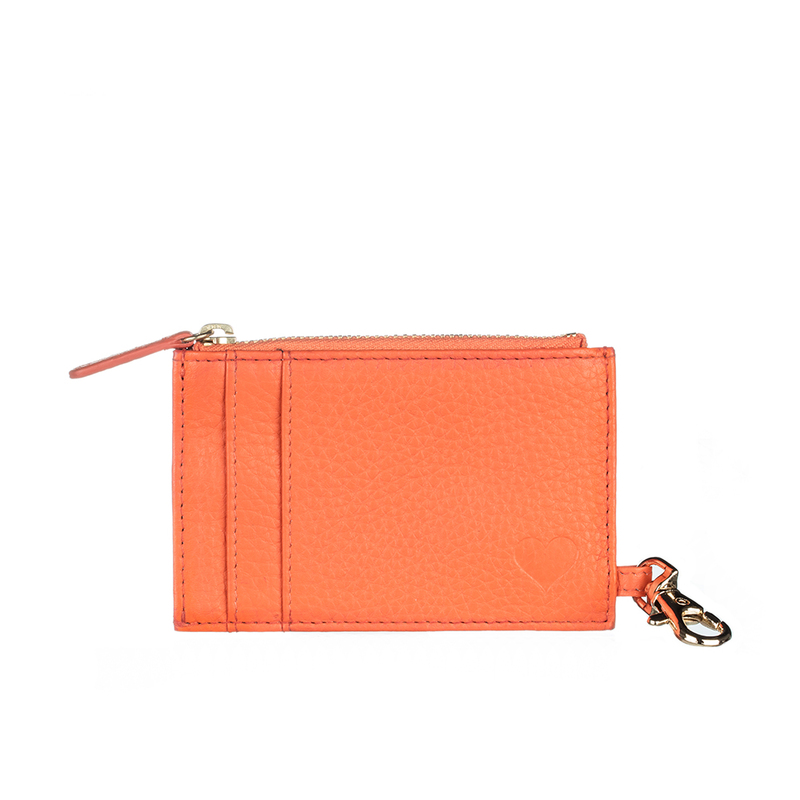 Available in 2 colours (Orange and Pink), please select via the personalisation tab. 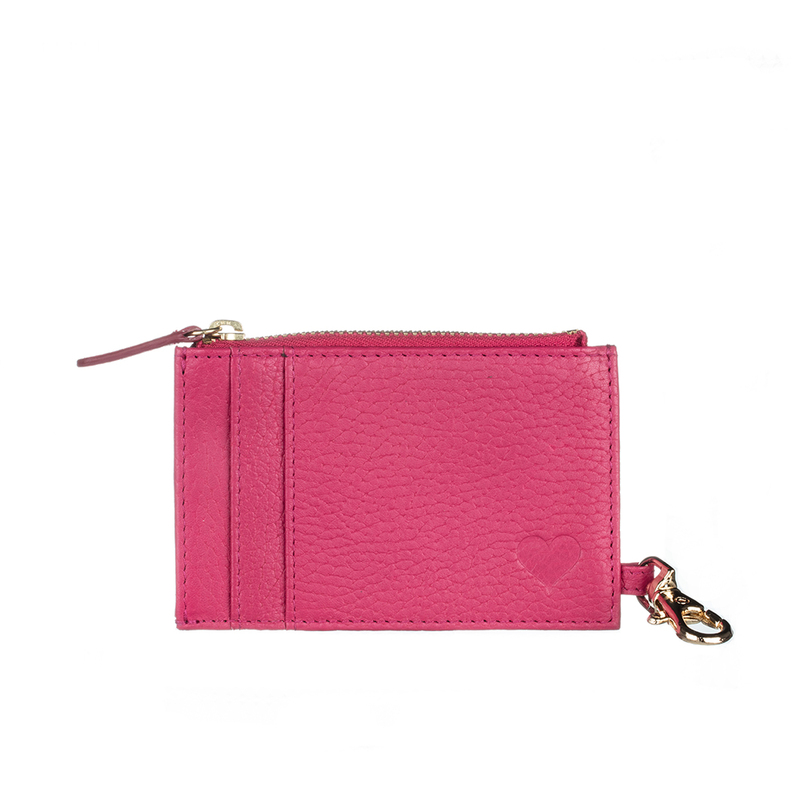 Your Love Zipped Cardholder will be delivered between 3-5 working days. UK delivery charge is £3, if you require international delivery, this can be done at a cost of £10 and can be selected via the personalisation tab. We will notify you once your order has been dispatched.